Dog Walking in Edinburgh. Find the best Dog Walks in and around Edinburgh. Calton Hill, Edinburgh EH1 3EB. Arboretum Ave, Edinburgh EH3. This is part of the Water of Leith walkway. Walk along the canal then up Craiglockhart Hill. The park is in the Merchiston area of Edinburgh and popular with dog walkers. There is also walk nearby along the Union Canal. Visit the Friends of Harrison Park website for more info on the park. 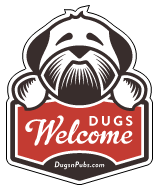 There are a total of 20 dog friendly listings in the Edinburgh Walks category. Please log in, or sign up as a member to view all listings.